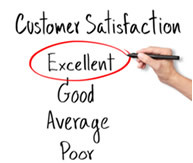 NPC Global strives for the highest overall customer satisfaction level in the packaging industry; with a “whatever-it-takes” philosophy, team members live these words to ensure your expectations are met and exceeded!. With 35+ years of industry experience, NPC Global delivers complete turnkey solutions ensuring the right product, the best price, the most cost efficient logistics and our and second to none customer service. Give us call to see how NPC Global can help your businesses packaging challenges.